Enjoying Toledo » 2012 Art Walk Kickoff! 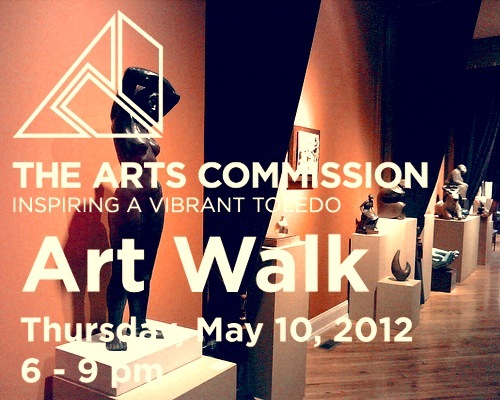 This Thursday, May 10th kicks off the 5th year of Art Walk events from The Arts Commission. The weather.com forecast for Thursday is sunny, with a high of 67°. Perfect for strolling (or bike riding) from gallery to gallery and enjoying music, entertainment, nibbles, drinks, and the company of some of Toledo’s finest. Download and print this handy map, grab a date or the whole family, and I’ll see you out on Thursday!